Summary: William (Bill) Mitchell, ND, was co-founder of Bastyr University, author, mentor to many, thought leader for the naturopathic profession, guitar teacher whose picture graced the cover of Time in the 1960s, and a renown botanical educator. Mitchell died late January at age 59 in an unusual family circumstance: Mitchell's death of a heart attack came within hours of hearing news of the death of his son, age 27, also of a heart attack. Here is a small selection of some of the many comments on the influential life of an individual who Mark Blumenthal believes will have an "indelible impact" on the course of American health care and who Joseph Pizzorno, ND, calls "the heart and soul of the Bastyr community ..."
The first page of the Seattle Post-Intelligencer ran a photo of William (Bill) Mitchell, ND, on January 29, 2007, to call attention to an article which honored the fullness of his life. The Seattle-Times featured him on the cover of the local section. Days before, Bastyr University sent out a statement to the community. (Bastyr has a commemorative page at this site.) Mark Blumenthal, founder and president of the American Botanical Council (ABC's), contacted me for information on Bill so ABC could honor Bill's work as a botanical educator appropriately. The American Association of Naturopathic Physicians (AANP) set up a page on their site to capture memories and reflections from their members. Shortly thereafter, the Everett Herald took a local angle focusing its article on Mitchell's teaching of guitar, while still in his teens, to a local guitar maker which put Mitchell on the cover of Time magazine. I had the occasion to know Bill, meeting him for the first time in 1984. My connection to him was significant, particularly related to some work in building Bastyr on which we collaborated. But my connection was neither as profound nor deep as many he touched as mentor, teacher, friend and philosopher. One evidence of Bill's value to his profession: he keynoted many of the AANP's recent national conventions and was, I am told, about to be asked to do the same for 2007. Colleagues have expressed their deep gratitude that three weeks ago Bill delivered his chapter to the profession's Foundations of Naturopathic Medicine project. His topic was his thesis on what the healing power of nature (vis medicatrix naturae) is all about. To honor Bill's life, I have collected a small selection of comments on his life that I have seen since Bill's death. Clearly, his energy lives on. "Dr. Mitchell was the heart and soul of the Bastyr community. Co-founder, teacher, trustee, friend and confidant, he touched everyone. So many of us—students, faculty and colleagues alike—remember with great fondness the inspiring mountain hikes with the now deceased Drs. Boucher, Bastyr and Mitchell. They freely shared their healing wisdom and understanding of nature's curative herbs and left an indelible mark on each of us. Bill's passing is a huge loss." "Bill had a remarkable way of helping people feel better about themselves. Patients loved him. Students loved him ... He had a warmth and sincerity that came through to all who knew him." Christy Lee-Engel, ND, LAc was a student of Bill's who served for a period as an associate dean for naturopathic medicine at Bastyr. These comments are from her blog entry "dreaming bill"
"For the first 15 or 16 years that I knew Bill, I really mostly just knew of him, and he didn't really know me. Like many of my school mates, I was in awe of his brilliance, his robust connection to the natural world, and his weirdness -- little realizing how weird I was going to turn out to be myself. "In 2002, when I started a two year stint as Assistant Dean in the Naturopathic Medicine department at Bastyr, one of my first and favorite assignments was to support Bill's teaching of a new elective course, the prototype for a series meant to embody and make explicit the part of Bastyr's mission statement that emphasizes education and services that 'integrate mind, body, spirit and nature.' I got to talk with him often on the phone and meet with him to create the syllabus and course requirements and other things he was not so interested in. He told me early on that 'the syllabus can't really be created until after the course is over, because I won't know till then what Spirit's going to want me to say.' Then we laughed for a long time and knew that we understood each other, and ever since then we have loved each other. "Bill had ravishingly hard times in the past few years, enough to break a heart many times over. He was scoured out from the inside and became almost transparent; you could see the light shining straight through him. He let all the hardship pour through him like a great river, and he didn't hide from it or hide it from those of us who orbited him." Mark Blumenthal, founder and president of the nation's leading not-for-profit resource on herbs and botanical medicines, American Botanical Council, included this comment in an email late last month. "Dr Mitchell was a wise and generous man, with a deep sense of spirit. His contributions to natural medicine, in co-creating Bastyr with Dr Pizzorno, will have a positive, long-term and indelible impact on the course of American health care. He deserves the respect and gratitude of all of us in the natural healing community and the millions of health consumers who will benefit from his vision and commitment." 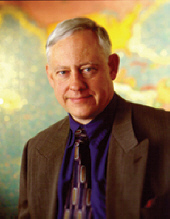 Seattle-based naturopathic physicians Tom Ballard, ND, was a member of the first graduating class at Bastyr in 1982. He sent this memory to a few of his friends and associates, then posted it on the AANP site. "Bill Mitchell, to me, falls into that category of 'old-time naturopathic physician' ... Bill honored naturopathic tradition in a way that only someone with a solid grounding in science can do. He believed its historic tradition, but also its scientific validation. And he was joyous to see it work – to see it help people be healthier. 'Old-time naturopathy' does not mean abandoning science, but rather the opposite, of science in its deepest, most wholistic application; beyond cause and effect to interconnectedness. "As an 'old-time naturopath' Bill was a guy who never stopped asking 'Why?' Some people have this question beaten out of them by unimaginative parents, teachers, medical schools, but Bill had the 'Why?' gene imbedded into his DNA makeup and continued to nourish it. "The problem with that 'Why?' gene is that there are a great many puzzles in the world. Even if you only confine yourself to naturopathy, you can spend a lot of time reading chemistry books, history, listening to lectures, experimenting, even tasting and smelling tinctures. It can also put you at odds with others; the charlatans, the opportunists, the intellectually lazy. "As some of you know, Bill was concerned about where some in naturopathy are drifting. It worried, and perplexed him, that many naturopaths have jumped into the practice of writing prescriptions for drugs. "He didn’t question this because he was contrary, or stubbornly 'old-time,' but rather because he was afraid that the ease of writing a prescription would lead to leaving out of the 'Why?' question. A doctor who prescribes an antibiotic, a sleeping pill, or a hormone doesn’t need to ask 'Why isn’t this patient’s immune system or brain or gland making its own antibodies, neurotransmitters, or hormone?' To him these questions were fundamental to how he practiced medicine and he wanted young naturopaths to share the thrill of answering 'Why?'" "Dr. Bill Mitchell was one of the three individuals who encouraged me to assume the president position at NCNM. When we had to develop draconian measures like financial exigency, Bill Mitchell was there to express his confidence in our leadership and the action plan our team put into place. When NCNM was within 72 hours of being permanently closed down in July 2003 by the bank and the Department of Education, Bill Mitchell gave us the courage to persevere and save the institution. "Dr. Mitchell was the NCNM 2003 commencement speaker and his address was one of the most inspiring I have ever heard. He was a Saint Thomas Aquinas scholar having read the complete 28-volume set of Aquinas' Summa Theologica. I once spent a wonderful afternoon with Dr. Mitchell discussing how Aquinas's philosophy relates to naturopathic medicine. Bill Mitchell was my mentor." "Bill was one of a kind. He was not afraid to be different. His intentions were not to be famous, or influential, or wealthy, or popular. He did not want to change the world to make himself feel better. He wanted to change the world because he truly loved the world, and wanted nothing more than its continued vitality, in all of its beautiful and mysterious parts. "Nature is not gentle, and nature has shown its brutality to us through this tragedy. Yet, we surely must hail nature as the great healing force. Through our loss we must embrace and advance the lessons Dr. Mitchell taught us. As we move through our grieving, we must create intention that will honor and advance the visions Bill lived and taught, and the wonderful gifts he graced our community with. "Bill's death is a loss that leaves our naturopathic community wounded and searching for the vis medicatrix naturae. No one person, or idea, or principle, can heal our collective wound. It is up to each of us individually and all of us collectively, to understand and focus our intentions, begin the healing process, and move forward. Our strength, and the healing power of nature will come from our community, our unity, and our identity. "Thank you Bill, for helping us to understand that if we are afraid to be different, we will never make a difference in the world." Comment (my own main intersection with Bill): As the AANP called for memories and recollections on their site, I felt compelled to add a more mundane story, from my experience of him in the mid-1980s. He jokingly called me "Godfather" for years after, recalling a role I had as a fund-raiser when we first became acquainted. This anecdote speaks to the value Bill had to his patients. "I had an unusual relationship with Bill as a non-practitioner who was charged, in 1983, with creating a funding base for the then John Bastyr College of Naturopathic Medicine. The school was unheard of. The medicine was unheard of. Candidacy status had just kicked in but foundations were still largely beyond reach. We had few alums. How to find resources? "We decided to ask NDs in the community to consider contacting their patients. Many found this abhorrent. Bill didn’t. His belief was simple. Part of health and one’s healing process meant reaching out, connecting to, and giving to community. Bill figured that donating to Bastyr might be a way some of his patients might want to give thanks and connect. "He – working with his then wife Roberta – began giving return envelopes and a small note, as I recall, telling patients that if they wished, any amount would be nice. No sell. He’d just mention it to them. It sticks in my mind that 115 of his patients donated that year, from $1 to $250. Few NDs were comfortable with the campaign. The most donations from any other ND’s contacts was 10-12. Bastyr developed the beginning of a community of support for the first time. Bill’s doing."